International cooperation has always been at the core of meteorology. It was indeed the main reason which, after the Bruxelles Conference in 1853, led to the creation of the International Meteorological Organisation (IMO) in 1873. The IMO was to “ensure continued progress in the science of meteorology and enable all nations to reap the practical benefits from such progress”. China was at an early stage an active participant in the various constituent and subsidiary bodies of the IMO. But the IMO non-governmental nature eventually appeared as a limiting factor and after the end of WWII, it was decided in a conference in Washington (1947) to transform the IMO into an intergovernmental organisation: the World Meteorological Organization (WMO), the Convention of which came into force on March 23rd 1950. China participated in this conference and was thus one of the founding Members of WMO. Shortly afterwards, WMO became a specialised Agency of the United Nations (UN) System. China covers just under 10 million square kilometres and its population represents nearly 20% of the world population. It is exposed to almost all types of extreme meteorological, hydrological and climatological events. It is therefore a key Member of WMO, and its contribution, to the mission and ideals of WMO, in particular through the work of the China Meteorological Administration (CMA), has been outstanding. A key development took place in October 1971, when the UN General Assembly adopted a resolution restoring the full rights of the People’s Republic of China in the UN. Shortly afterwards, in February 1972, WMO Members adopted a similar resolution. Almost immediately afterwards (in March 1972), the WMO Secretary General, A Davies was the first Head of a UN specialised agency to visit China. This was soon followed by the spectacular development of China’s involvement in and contribution to most major WMO Programmes. In the following, I would like to highlight, without being exhaustive, which would be impossible, some important contributions of China to international meteorology and related disciplines. 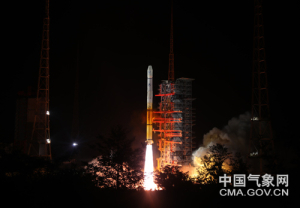 One of the most spectacular developments has been the contribution of China to the WMO Space Programme. In the early 1970s, meteorological satellites were mostly operated by USA and USSR, joined by Europeans (EUMETSAT) in 1977. 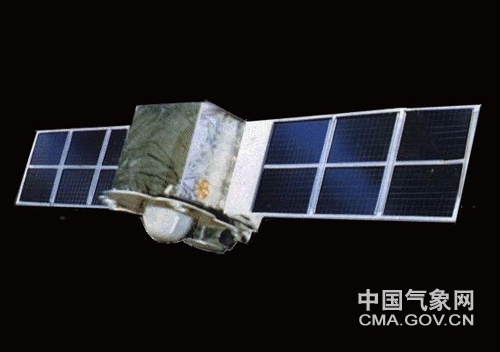 In 1988, China launched its first Fengyun sun-synchronous satellite (FY-1A), and its first geostationary one (FY-2A) in 1997. 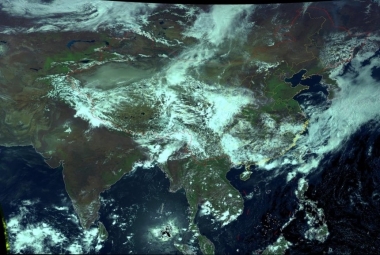 Their data have been made freely available to all WMO Members, joining those from USA, EUMETSAT, Japan and Russia under the umbrella of the WMO Space Programme, making China one of the leading contributors to this Programme. They represent an invaluable contribution to Numerical Weather Prediction, to disaster prevention and to climate studies, amongst others. Another unique contribution to observation of key atmospheric parameters has been the establishment in 1994 of a Global Atmosphere Watch (GAW) Baseline observatory at Mount Waliguan, a unique high mountain location, which is now one of the Global GAW stations. I would also like to mention the participation of two Chinese Tropical Wind Observing Ships (TWOS) to the largest ever organised atmospheric experiment as part of the Global Atmospheric Research Programme (GARP) organised by WMO with a number of partner organisations, from 1978 to 1979. 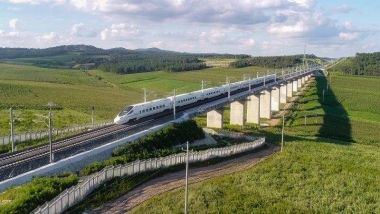 A symptomatic illustration of the impact of China opening up has been the number of times when the WMO Research Award for young scientists was received by Chinese scientists: it was the case for the first time in 1993, then in 1994, 1998, 2001, 2003, 2005, 2008, 2012 and 2014, that is 9 times up to 2018, a remarkable achievement, reflecting the quality of Chinese meteorological research. Chinese scientists were also the recipients of the highest WMO distinction (the IMO prize) on four occasions, in 2003, 2008, 2013，and 2016. With respect to climate, the Beijing Centre of CMA has been since 2009 one of four WMO Regional Climate Centre in Asia, providing advice and information to other National Meteorological Services in the Region. It is also providing essential support to the Regional Climate Outlook Forums in eastern Asia. It is worth noting that following the 3rd World Climate Conference organised by WMO in 2009 in Geneva, and the decision to establish a Global Framework for Climate Services (GFCS), China was one of the very first countries to design and develop a National Climate Framework in order to provide essential information and services to all socio-economic sectors sensitive or vulnerable to climate variability and climate change. Education and training has been since the establishment of WMO an essential pillar of the Organization. China, in particular through the WMO Regional Meteorological Training Centre (RMTC), hosted by the Nanjing University of Information Science & Technology (NUIST) since 1994, has played a major role in providing high quality training to not only generations of Chinese meteorologists, but also to numerous meteorologists from developing countries in many parts of the world. I was most honoured when I was conferred the title of honorary Professor of NUIST in 2010. In addition to Education and Training, the last 40 years also saw the significant increase in China’s contribution to other WMO Technical cooperation activities, for the benefit of developing countries with particular emphasis on the least developed ones mostly in Asia, the Pacific and Africa: provision of technical equipment and of scientific and technical expertise and more generally a significant support to the WMO Voluntary Cooperation Programme, since 1976. A particularly noteworthy contribution has been the regular organisation of “Study Tours” for Directors and senior officials of NMSs of developing countries to enable them to familiarise themselves with, to learn from the Chinese experience and to share their own ones with their colleagues from other countries. To date several hundreds of them have taken part and it has been a memorable event for them, strengthening further the unique WMO “family spirit”. 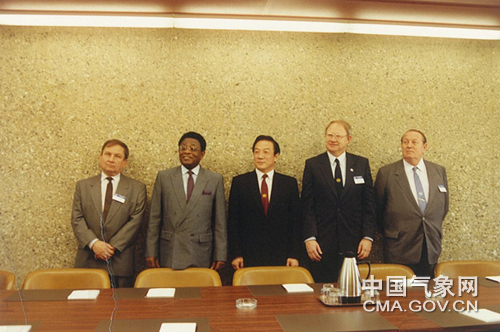 In May,1991, Mr. ZOU Jingmeng, the former Administrator of CMA, was reelected as president of WMO. The picture is the newly elected members of the presidium. From a governance perspective, China became an active member of WMO constituent bodies after joining WMO back in 1972: Since then, Permanent Representatives of China with WMO have been continuously elected as members of WMO Executive Council. 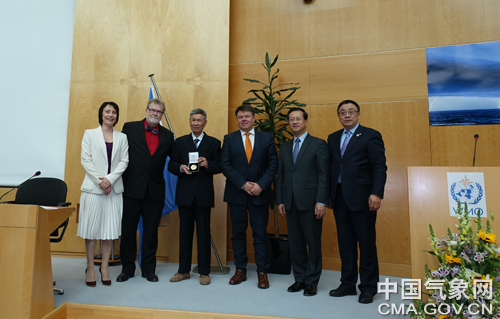 Furthermore the Administrator of CMA, Zou Jingmeng, after having served as 2nd Vice-President from 1983 to 1987, was elected President of WMO in 1987 and re-elected in 1991 for a second 4-year term. Also a number of Chinese scientists have served as Officers of WMO Technical Commissions, and many more have contributed their expertise as members of various working groups and expert teams. 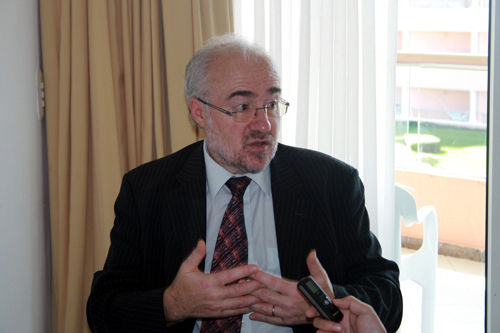 In addition a Chinese scientist, Professor Yan Hong was Deputy Secretary General of WMO from 2004 to 2010. Finally, I would like to mention a truly unique contribution of China to WMO. Shanghai hosted the World Expo in 2010, under the theme “Better city, better life”. It was the first organised in China and it attracted the highest number of visitors with a record number of countries (192). At an early stage in the preparation, the Permanent Representative of China with WMO offered to WMO to have a dedicated meteorological pavilion, MeteoWorld. It was the first (and only one to date), in the now 167-year history of World Expos. Its focus was on the contribution of meteorology, in particular through the National Meteorological Services (NMSs) to the safety and well-being of people. 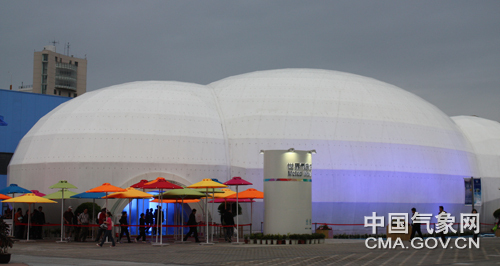 The pavilion, designed, built and supported by CMA, covered 1500 square meters in the shape of a white cloud surrounded by mist. It attracted a considerable number of visitors (it was indeed one of the most popular ones).It contributed to sensitize the many visitors to the scientific achievements and to the spectacular progress in the quality of weather forecasts over the last decades,and therefore to the key contribution of NMSs to the safety and well-being of people, and more generally to sustainable socio-economic development, but it also highlighted some of the key challenges of today, such as those connected to climate change. The pavilion was located next to the United Nations one and it was honoured by the visit of a number of very high-level officials, from China and other countries, as well as that of the UN Secretary General Ban Ki-Moon who was deeply impressed. As mentioned earlier, the above examples are only meant to be illustrative of some of the key contributions of China over the last decades. They would not have been possible without China’s opening up. 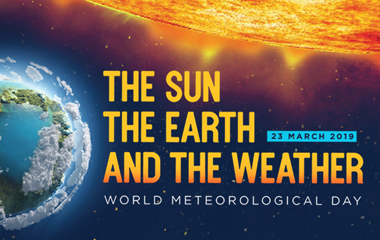 Indeed, international cooperation is so essential in meteorology and climatology, that no country would be able to reap the benefits of the spectacular progress in these disciplines without an unequivocal commitment to such openness. Let’s hope that all countries will strive to preserve, and even further strengthen the legendary spirit of cooperation and indeed friendship which has been at the core of WMO successes, for the benefit of humankind.